The program begins with the five-day Orientation Residency in University Park, Pennsylvania, helping students meet face-to-face with faculty and classmates, attend workshops and career services opportunities, and network with alumni. The entirety of the program consists of 48 credits, 39 of which are General Management courses, with nine concentration course work credits. The schedule of programs is flexible, allowing students to take classes during the week on their own time. Starting in spring 2020, Penn State Online MBA students will have the opportunity to take part in the Global Immersion trip alongside fellow Residential and Executive MBAs. The program can be completed in as little as two years, or as long as eight years. After completing the 39-credits worth of General Management courses, students are given multiple concentration options (dependent upon which of the General Management courses they elect to complete), including: accounting; business analytics; finance; and more. The average class size for the Smeal Online MBA program is 31, with 355 total students enrolled in the program. The average age of enrolled students is 33. About 66.8 percent of the entire Online MBA student body is male, with 33.2 percent female students, 21 percent U.S. minority students, and 4 percent international students. These students earned an average GMAT score of 577. 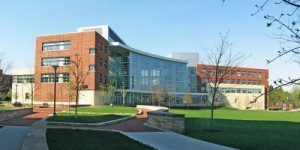 Tuition cost for the Penn State Online MBA at the Smeal College of Business is $1,185 per credit. Over 48 credits, the total comes to $56,880. Applicants to the program are eligible for FAFSA and unemployed tuition assistance. In addition, military service members are eligible for certain benefits to help fund tuition payments, of which include: the GI Bill and grant-in-ai; ROTC aid; and Yellow Ribbon programs.